Matthew Bourne has a new tour of The Nutcracker which opens at the Churchill Theatre Bromley on 5th November, plays at Sadler’s Wells in London over Christmas from 6th December-22nd January 2012 and runs until 19th May when it ends at the Theatre Royal Newcastle. 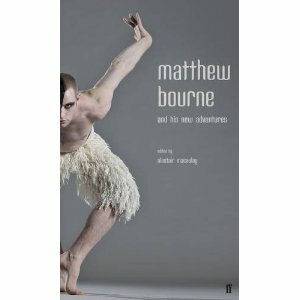 Bourne celebrates the 25th Anniversary of his company with the publication of a new edition of his book Matthew Bourne’s Adventures in Dance which is available from 17th November 2011. In the book Bourne discusses his work with Alastair Macaulay, talks about his upbringing, training, influences and his distinctive creative methods. Bourne's notebooks, sources and collaboration with dancers all form part of the discussion in this book. This event is followed by a book signing.